California State University, Northridge has unveiled one of the more visible pieces of its new “Rise of the Matadors” pride campaign: the new Blacktop at The Matadome. The unique floor at CSUN’s home arena brings a little bit of the playground to Division I sports, as the area surrounding the playing surface is completely black — as are the keys in front of each basket. 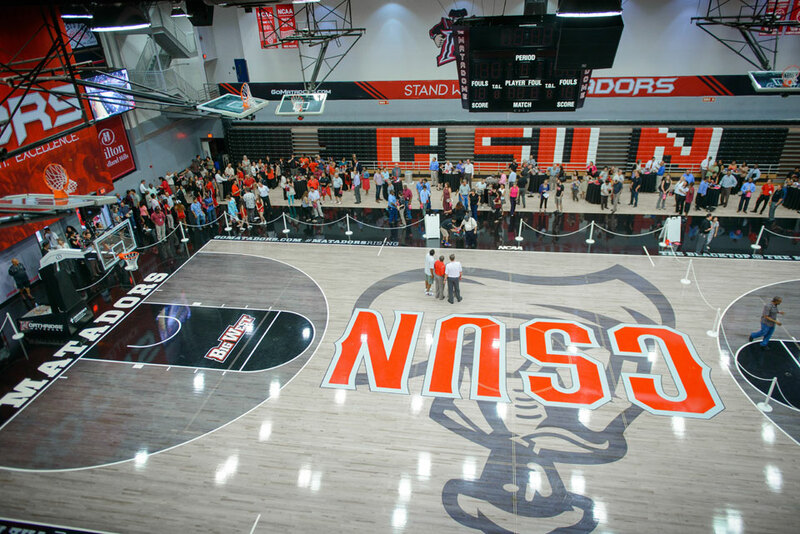 In the center of the court is the new CSUN athletics logo, featuring the matador holding a cape with CSUN right across the front. CSUN faculty and staff members received a sneak preview of the new court during a special lunch event where they were invited to shoot free throws for prizes and took photos with three of the coaches who will pace the sidelines of the new court: men’s basketball coach Reggie Theus, women’s basketball coach Jason Flowers and men’s volleyball coach Jeff Campbell (women’s volleyball coach Jeff Stork was on a road trip with the team). In addition to the student body, faculty and staff members play an important role in the ever-growing Matador fan base, say athletics staff who organized the Blacktop event. 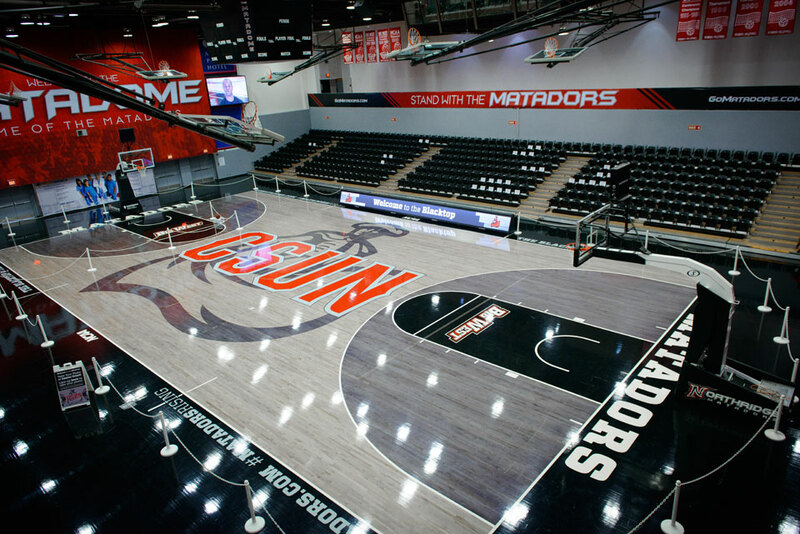 The new Blacktop also will create a unique look when CSUN’s teams appear on TV, Martin said. For more information about upcoming games for CSUN athletic events, please visit www.gomatadors.com.